[8 mins. 5 secs.] 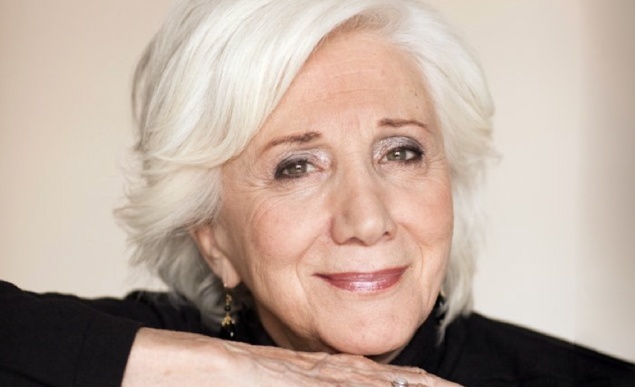 Beloved actress of stage and screen, Olympia Dukakis ("Moonstruck"), is the guest in the first segment. Olympia is the subject of a documentary called "Olympia Dukakis: Undefined" whose director, Harry Mavromichalis, joins us in this conversation. We discuss Olympia's career and her involvement in the documentary. As it happens, Harry's film is in itself the subject of a Kickstarter campaign which is ending this Friday, June 20th. Many of Olympia's friends, family, colleagues, and others are interviewed in the film including cousin Michael Dukakis, Whoopi Goldberg, Ed Asner & Lynn Cohen to name just a few. I urge you to check out the campaign and support the film. [48 mins. 42 secs.] After that, I welcome back to the show, my friend filmmaker Jonathan Caouette ("Tarnation", "Walk Away Renee"). While Jonathan does not have a new film about to come out, he is flexing his curatorial muscle by programming a bunch of films —both short and long format— to be screened later this month in celebration of Pride Month. The event (details to be announced) will be screened at the Wythe Hotel in Williamsburg, Brooklyn.